Originally released in 1999, Star Wars The Phantom Menace introduced me to the word “Prequel”.Â I never really spent a lot of time wondering where Darth Vader came from, or how did the Emperor come to power, but I was THRILLED to have new Star Wars movies.Â I remember collecting game tokens from Taco Bell to try and win a prizes, and heading out for the midnight showing with family and friends. Thirteen years later, the movie is being re-released in 3D.Â This time around, I’ll be packing up the mini-van and introducing my kids to Star Wars on the big screen.Â I may not be as excited as I was the first time, but watching the movie through their eyes is going to be the BEST! 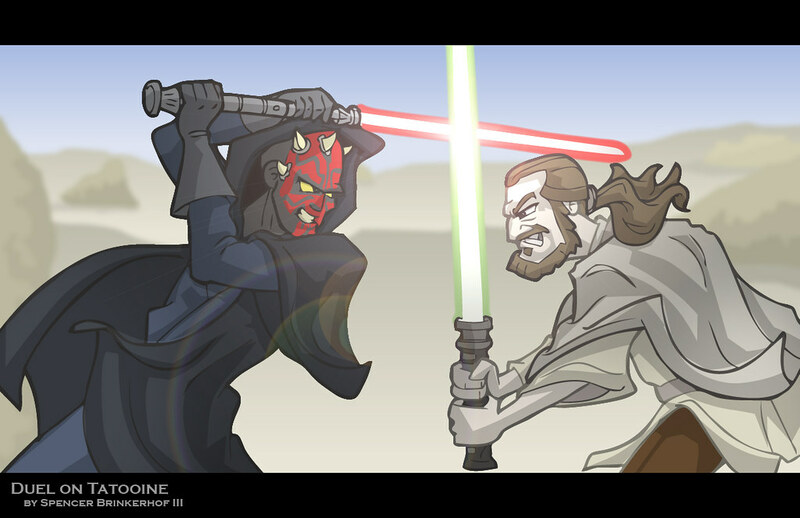 Here’s a drawing that I did to celebrate the release of The Phantom Menace in 3D. Next story Why do I go to Comic Book Conventions?